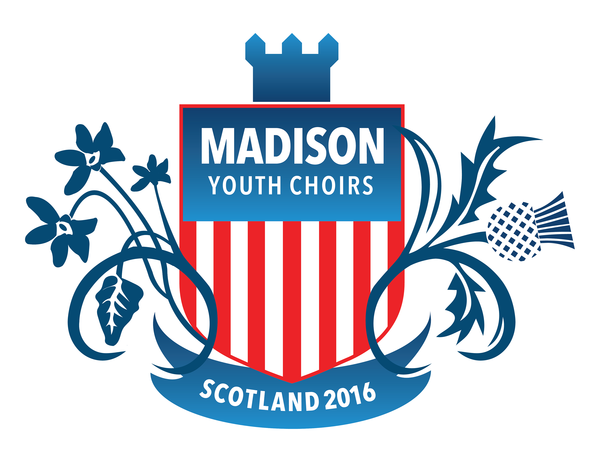 Make sure you've gone through your Scotland music packet, added the music you already had, and emailed Mike (before the weekend) with any pieces you're missing. Be ready to turn in all of your non-Scotland music on Sunday. Mike wasn't kidding. You're working on memorizing the Israeli national anthem, right? We did pretty well for our first rehearsal! Please make sure your singer arrives 5-10 minutes early so they can be in their seat, ready to go and we can start promptly at 6:00PM. Singers that drive yourself--this is especially a reminder for you! Ready to order? Click below to go to the Google form. First, please double-check that you have specified your food allergy (nuts, dairy, gluten, etc.) and meal preference information (vegetarian, Kosher, etc.) for our KLM flights. This is done on the Gateway site under your passenger record. Please do this before Monday, May 23. Second, we need to provide the festival with specific food allergy and meal preference information. On days when a box lunch is being provided, this is especially important as the talented commissary staff will prepare the exact number of vegetarian, nut-free, dairy-free, gluten-free, etc., boxed lunches we need according to the information we provide. Please use the button below to record your specific information by Monday, May 23. This form will also be used to prepare our ID badges so an answer from every tour participant is needed. Thanks! Singers will be receiving a packet of Very Important Documents (do you like how we capitalize for effect?) at Sunday's rehearsal. These documents need to be reviewed, completed, signed and returned to the MYC office no later than Friday, June 10. We have our required parent/singer meeting on Thursday, June 9, which will likely be a convenient time to return the packets! We will remind you to check in with your singer after Sunday's rehearsal to make sure the packet made it home. Fun! We are looking forward to seeing everyone Sunday!